Over the weekend, several online retailers in the US have announced their prices of the upcoming Nokia Lumia 920.Initially, we found some leaked European prices that made our eyes water and fear just how high would the price be here in Malaysia. However, the new US unlocked prices seem a lot more palatable. Best Buy listed the unlocked price of the Lumia 920 as $599.99, which translates to about RM1850 based on current exchange rates. If that price is retained when it is sold here, the Lumia 920 would only cost about RM50 more than the old Lumia 900, automatically making it a highly competitive product (the Galaxy S3 is currently RM1999; no prices yet for the upcoming HTC One X+). However, they have since taken down the listing. On the other hand, Negri Electronics listed the Lumia 920 as available for pre-order at around $699, which when converted will push the local price to the range of the Galaxy Note II – which wouldn’t look good for those looking for some PureView. In addition, the HTC Windows Phone 8X has also been priced at $599.99, while one retailer has listed it at around $550. Nevertheless, US prices for smart devices have not always translated to the same amount when it is launched here (hello, ASUS Nexus 7). 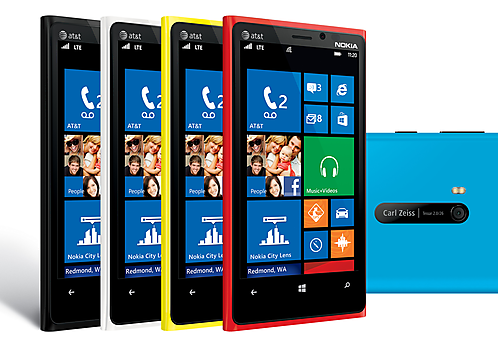 However, if the price for the Lumia 920 is kept below the RM2000 mark, Nokia could finally have a winner in their hands. At least, one they did not publicly disown, or intentionally provided less marketing. Will We be Seeing Other iDevices Besides the iPad Mini Tomorrow?